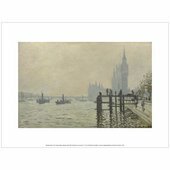 From Monet's obsession with British fog, to Turner's romantic depictions of the river, the Thames has inspired many artists for years. Hear Dolly talk with curators, historians and cartoonists about how artists have changed the way we see the river. 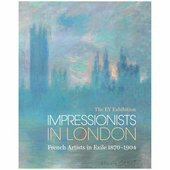 Discover more of Monet's work at The EY Exhibition: Impressionists in London, French Artists in Exile (1870 – 1904) exhibition at Tate Britain 2 November 2017 – 7 May 2018. Follow in Dolly Alderton's footsteps and discover the sites yourself. Dolly Alderton is a journalist, writer, the Sunday Times Style's former dating columnist and co-host of the pop-culture and news podcast The High Low. Her first book Everything I know About Love is out next February. You can follow her on Twitter here. 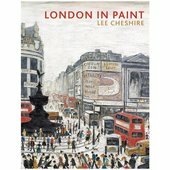 London is one of the world’s great cities for visual arts. 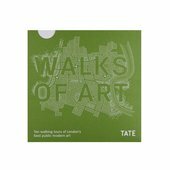 Walks of Art takes you on ten walking tours of public modern art in the heart of the city. It is an illustrated map which comes in a cardboard pouch making it easy to carry around. How well do you know the impressionists in London? Gaze upon the amazing shimmering landscapes of the first modern painter!